I put up my very first post on GoDairyFree.org back in 2004. I had a mountain of researched information and couldn’t help but notice the dairy-free void online. I had no plans, no intentions beyond hoping it helped a few others, but that near silent launch snowballed into the release of Go Dairy Free: The Guide and Cookbook, a career in special diets (including recipe creation, writing, magazine and cookbook editing, ebooks, speaking engagements, and much more), and approximately 10 million unique visitors to date. However, the workload has held me back on innovation in recent years. There is so much more that I want to be able to offer you, but I need accountability for my time, which is why I’ll be sharing my journey from here on out. 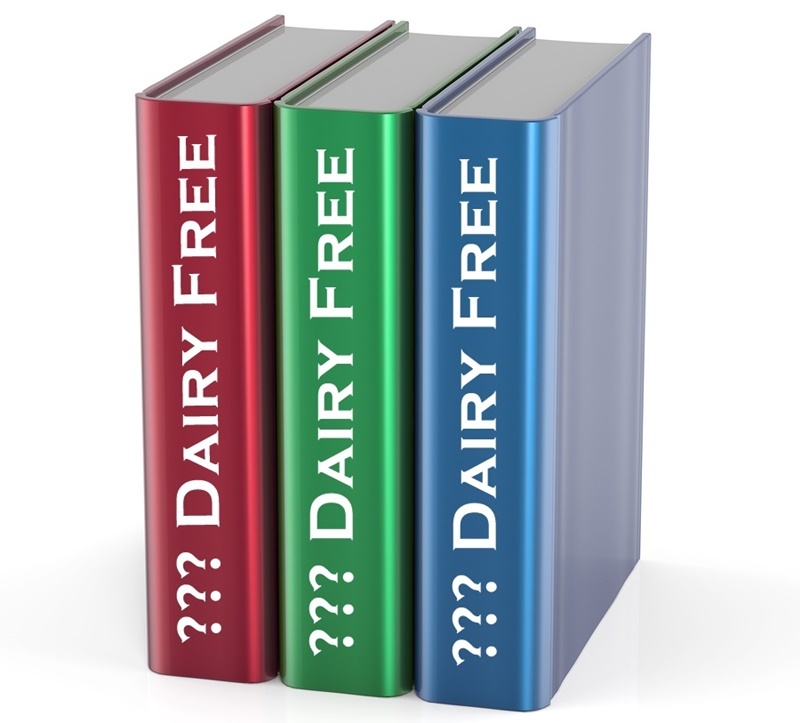 The first big part in this journey: THREE dairy-free books in 2015! Yes, not one, not two, but three books will come from my kitchen, research and experience. I’ll be releasing the titles throughout this year, and that will just be the beginning of my future plans to help make a difference for millions of you! The inspiration for sharing this undertaking with you came from Silk. 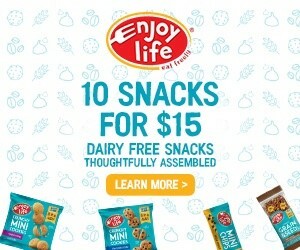 Though their many dairy-free offerings (so many milks and yogurts!) speak for themselves, Silk has invited me to make my journey vocal in a cohesive effort to help not only those of you who want more deliciousness from the dairy-free lifestyle but also those who are craving more knowledge and motivation to conquer your goals. Once a month, I’ll share tips, recipes, what we are doing and how we are doing it on this book production path. Along that theme of inspiration… on a drive back from San Francisco this weekend, Tony and I decided to stop in at IKEA (we don’t have one in our town) and try out those new vegan and gluten-free Veggie Balls. They were quite good (think Bombay veggie burgers meets a falafel), but Tony was quickly distracted by something he said was the perfect inspiration for me… a big stuffed broccoli. Broccoli is easily one of my favorite foods (yes, it really is on my “if you could only have 5 foods on an island” list), and he knew that this cheesy stuffed toy was exactly the muse I needed. And of course, our childish antics caused us to pick up several other inexpensive kitchen gadgets that I do need for recipe creation, but as a bunch ended up looking like a children’s play set. And that cheesy broccoli (seriously, what made those crazy Swedish designers think “that broccoli really needs a skirt”?) was an immediate inspiration. Yesterday I whipped up some cheesy broccoli “nachos” by adapting a cheesy sauce I’ve been working on for one of the books. The nachos part is obviously for Cinco de Mayo, but I love the way you really can eat these like nachos! Just tuck the broccoli stems under the florets when plating, and they stay dry for picking up and eating by hand. 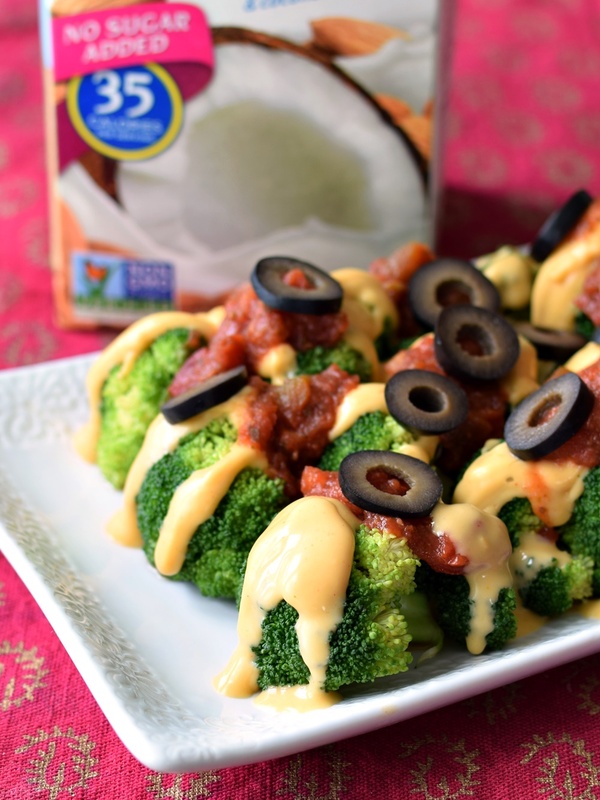 In addition to my monthly posts on this journey, and recipes like this cheesy broccoli, you can follow more of my project and several others on Twitter, via the hashtags #Inspired and #LoveMySilk. 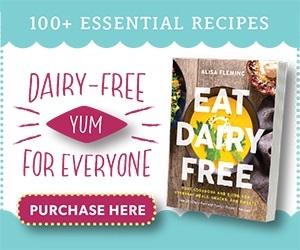 By ingredients, this recipe is dairy-free / non-dairy, egg-free, gluten-free, grain-free, optionally nut-free, peanut-free, soy-free, vegan / plant-based, and vegetarian. 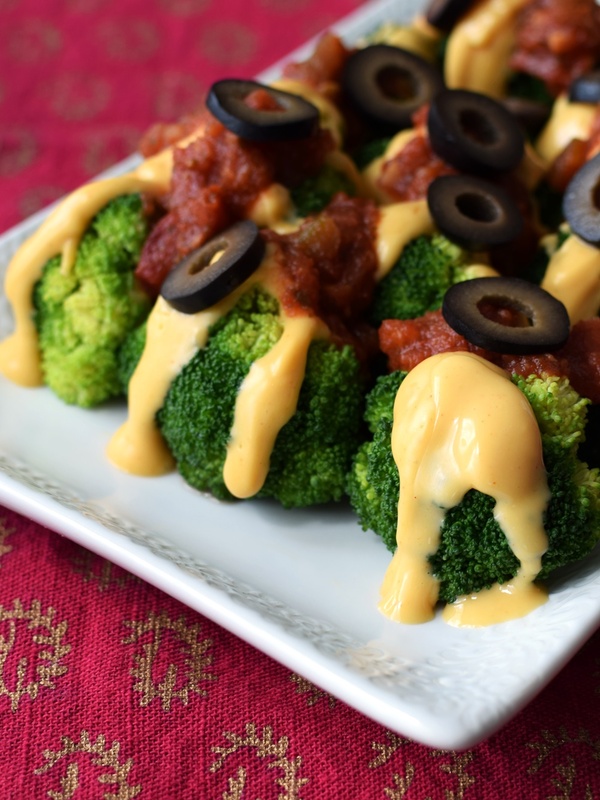 Dairy-Free Margarine and Subs: For that buttery hint in this cheesy broccoli, I used Melt Organic – I like their ingredients and don’t feel quite as guilty. 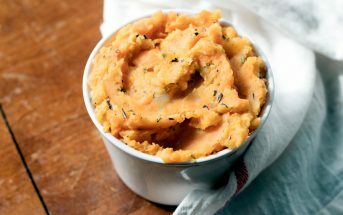 But, you can substitute your favorite buttery or neutral oil in this recipe, if desired. coconut oil, dairy-free butter-flavored olive oil or avocado oil should go nicely. Dairy-Free Milk Beverage: I like the Silk Coconut Milk Beverage in this cheesy broccoli, but the Cashew Milk Beverage should also go nicely – just make sure to grab unsweetened! For discount coupons, I signed up for the Silk newsletter (used $1.50 off 1 carton just yesterday!). This recipe creates a very mild cheesy sauce that is meant as a backdrop; use the salsa to spice up the flavor to your tastes. Steam the broccoli until crisp-tender, about 6 to 7 minutes. Place the water, nutritional yeast, starch, /4 teaspoon salt, mustard, paprika and cayenne in your blender, and blend on high 30 seconds, or until smooth. Melt the margarine in a skillet or saucepan over medium-low heat. Stir in the mixture from your blender and continue to whisk as it cooks and thickens, about 3 to 5 minutes. When thick, whisk in the milk beverage and lemon juice, to taste, until smooth. Whisk in the remaining ⅛ teaspoon salt or salt to taste. If it threatens to clump at all, just whisk well, it will smooth out. If needed, whisk in a little more milk beverage. Note that it does set-up quickly, so you want to serve immediately. Optionally whisk salsa, to taste, into the cheesy sauce, or use it as a topping, as directed in the next step. Plate broccoli - I like to plate it all facing the same direction with stems tucked under for eating like nachos, if desired (keeps the cheesy sauce mostly off the stems). Drizzle with cheesy sauce and top with salsa (if not stirred into sauce), followed by a good sprinkling of olives. This conversation is sponsored by Silk. The opinions and text are all mine. 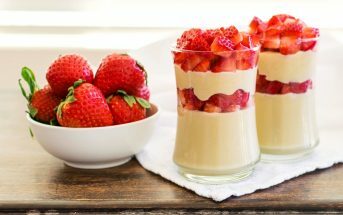 For dairy-free milk beverage and yogurt coupons, recipes and much more, sign up for the Silk Newsletter. I am so trying this!!! Less fat than cashew cheese – love it! 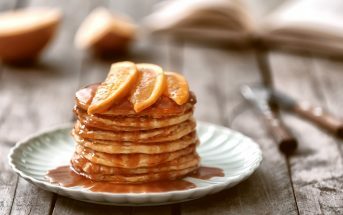 Wow this recipe is a true inspiration! Alisa, This recipe is a great combination of sophisticated and simple, and nice to know another broccoli-lover. I haven’t used broccoli in a southwestern dish, so this inspires me. I am so excited for you, Alisa!!! Huge congrats on your upcoming books…I know they will be amazing! And broccoli nachos are GENIUS!! This is such a creative idea! I looooove nachos so this is a perfect alternative! 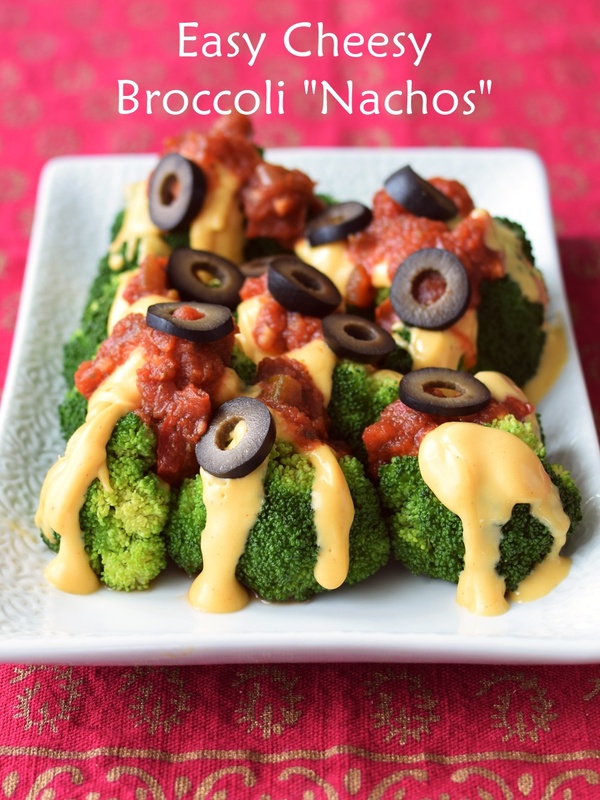 Love the idea to serve broccoli nacho style. Can’t believe this one is dairy free. My husband is lactose intolerant (and on a low carb diet! ), so he’ll really appreciate having nachos again. I’ve got a super-popular 5-minute nachos (regular nachos) recipe – I can send that to you Elizabeth! I’m so excited for you Alisa 🙂 Your broccoli nachos look so scrumptious! Broccoli and cheese sauce works perfect together. Great idea! Thanks for sharing! I dont know that you’ve lost your innovative touch at all 🙂 I love that you are making a veggie nacho dish! Thank you on both accounts Abigail! CONGRATS, that is awesome news about the new books! looking forward to them. I love broccoli, this is cheesy goodness I would LOVE. What a cute idea! I’ve been eating a lot of Buffalo cauliflower “wings” lately; I bet I would love these. How awesome to have nachos that are completely guilt-free! I love how the green just makes them so colorful! 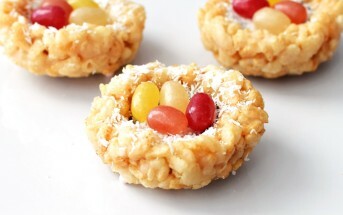 Yes, I’m all for sneaking in nutrition whenever possible and tasty! So excited on all you’ll be sharing with us in the future, Alisa! Thanks Shirley! 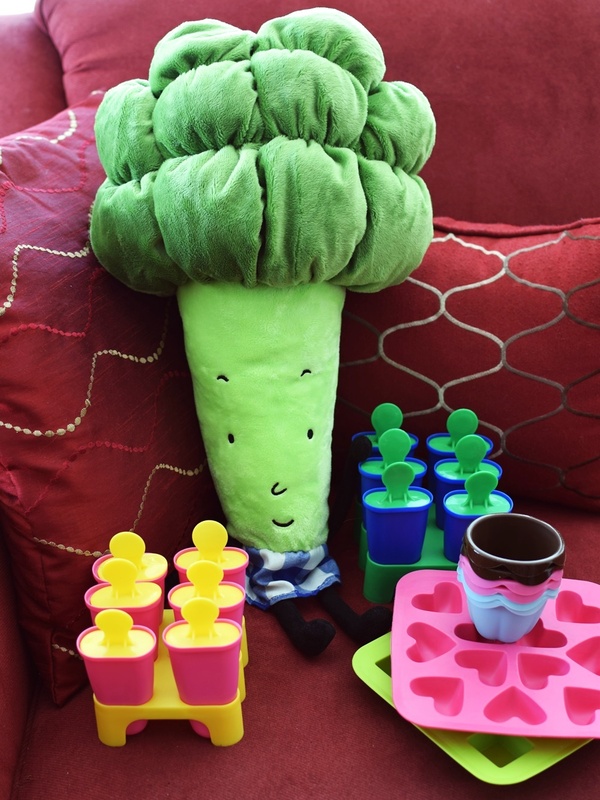 I’m probably the true oddball – I’ve loved broccoli for as long as I can remember!